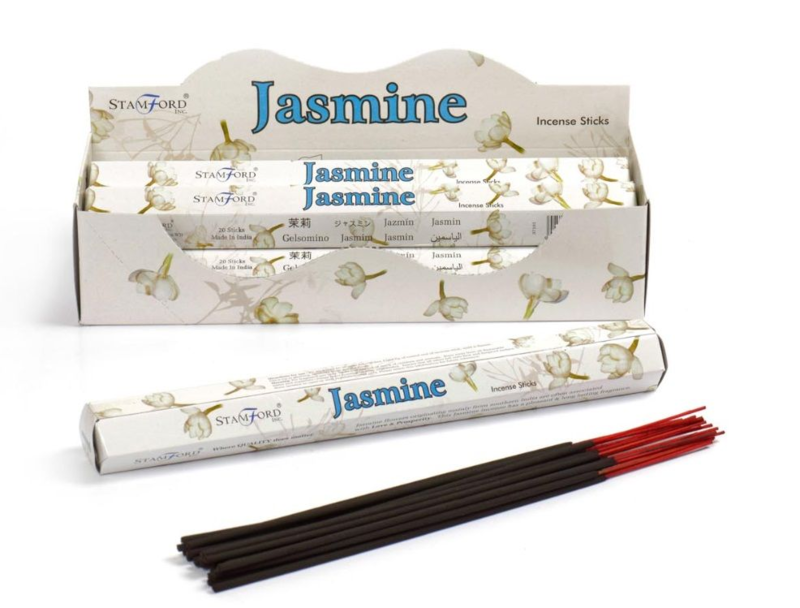 These Jasmine Incense Sticks are ideal for meditation or entertaining and will create the perfect atmosphere. Jasmine flowers originating mainly from Southern India are often associated with love & prosperity. Just light the end of the Incense Stick, once the end glows, blow out the flame and place in an Incense Holder.